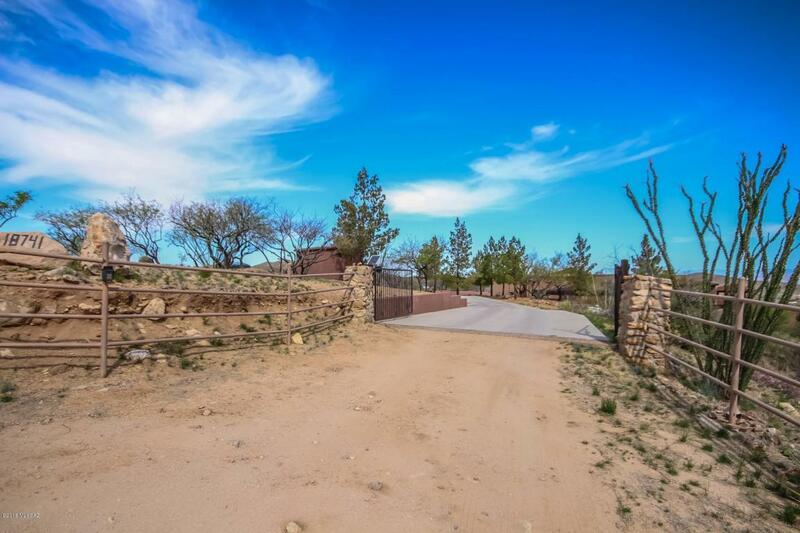 Come fall in love with ''Desert Perfection''! 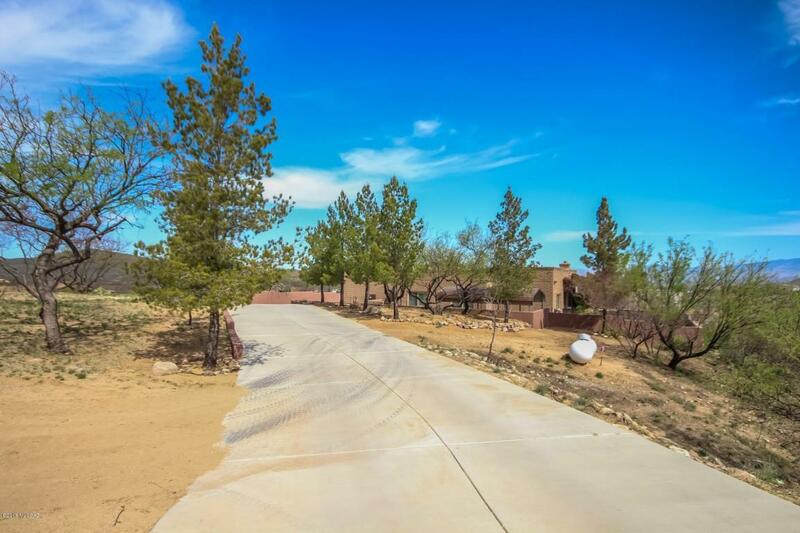 Outstanding Home nestled on 5 acres with breathtaking Mountain Views, 3 car garage, and RV parking. 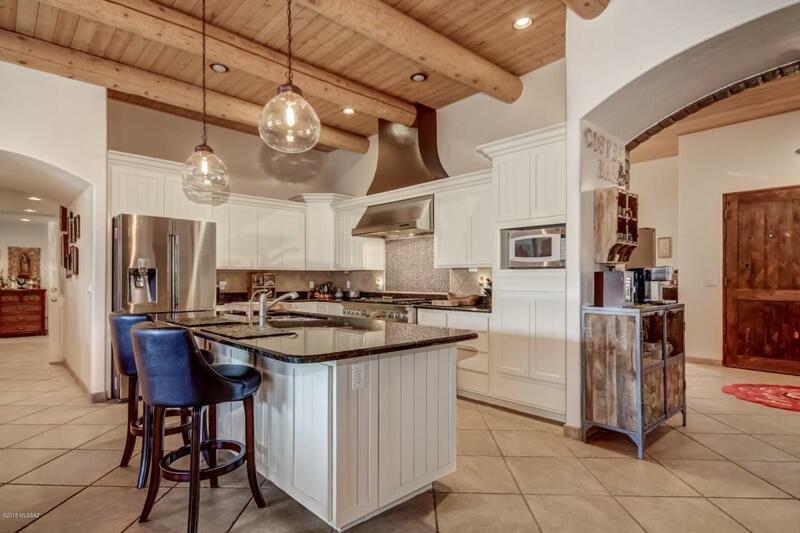 Stunning chefs kitchen features center island, granite counters, breakfast bar, exposed wood/beamed ceiling, plantation shutters/blinds, tiled backsplash, SS appliances, and plethora of white cabinetry. Perfect Home for entertaining inside and out. Cozy brick family room fireplace, patio access, and beautiful tile floor set on the diagonal. Formal dining area, upgraded lighting, and impressive double front doors. Charming master retreat offers patio access, coffered ceiling, plush carpet, plant shelves, and private upscale en suite. Large laundry room, utility sink, storage cabinets, ample bedroom closets, and 4 baths. 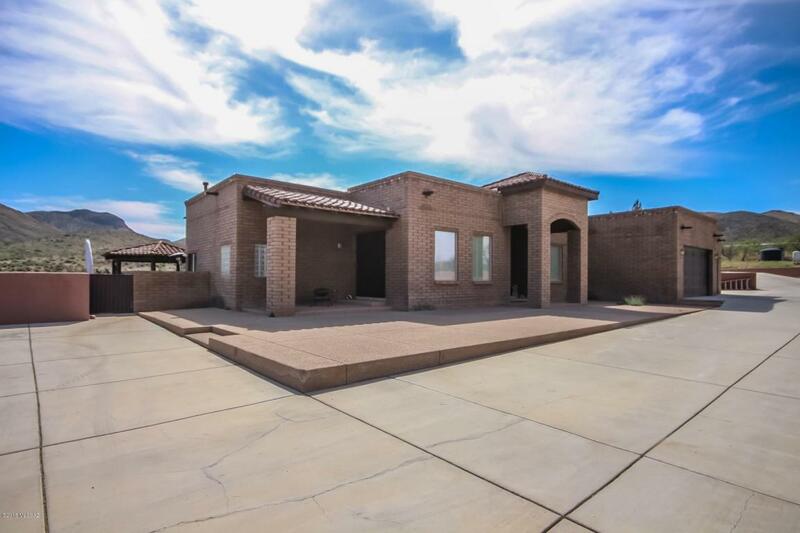 Enjoy the sparkling pool...spa, covered patio, two gazebo's, large patio, and Majestic Mountain & natural desert views. See it...Love it...Live it! !